Visiting Hours: Thursday, April 18th, 2-4:30 & 7-9:30 p.m. at our West Sayville funeral home. Funeral Service: Friday, April 19th, 10 a.m. at St. Lawrence RC Church, Sayville. Interment to follow at the parish cemetery. 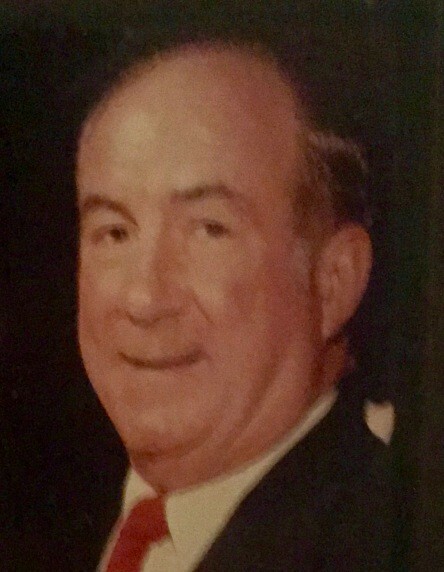 James S. Mattimore, III, 84, a sixty-year resident of Sayville, LI, died on Monday, April 15, 2019. A US Army veteran, Mr. Mattimore worked for 45 years with Dayton T. Brown here on Long Island, before retiring as Vice President of Sales. He was also a very active member of St. Lawrence RC Church in Sayville where he served as a Eucharistic Minister and was a member of their chapter of the Knights of Columbus. Mr. Mattimore is survived by his wife, Lorraine, his four children, Kathleen Jones and her husband Michael of Philadelphia, James IV of New Jersey, Kevin and his wife Brooke of Blue Point and John and his wife Alanna of Patchogue, his nine grandchildren, Melissa, Megan, Michael, James V, Ryan, Brendan, Sean, Avery and Addison, as well as his sister, Louise Grant. Jim was predeceased by his sister, Jean Giedris in 2017. Friends and relatives will gather, Thursday, April 18th, 2-4:30 & 7-9:30 p.m. at Raynor & D’Andrea Funeral Home in West Sayville. A Funeral Service will be held on Friday, April 19that 10 a.m. at St. Lawrence RC Church where Fr. Sean Gann will serve as presider and Mgsr. John Rowan as homilist. Interment will follow in the parish cemetery.